It is acalm Thursday afternoon and pupils of Kithathaini Primary School in Makueni County are just from a lunch break ready for the afternoon classes. In the midst of the crowd, I notice a visibly jovial Nziliki Kiio, a 13-year-old Class Eight pupil. I am her guest on this particular day. She is happily walks into the head teacher’s office and is prepared to engage her guest. In a corner of their school field is where we take a seat as she narrates to me the story of her life. With no other source of income, Nziliki’s mother started doing any casual jobs she could get in order to feed her children. Nziliki and her sibings could no longer afford new clothes. “We had to move to a small house where we squeezed ourselves. School fees was my biggest nightmare. I could not imagine of life without education. My education was affected because most are the days I would be sent back home because of lack of school fees. My grades started dropping because of lack of revision books and other school necessities and I really felt bad about it. Many a the times I would go to school on an empty stomach. 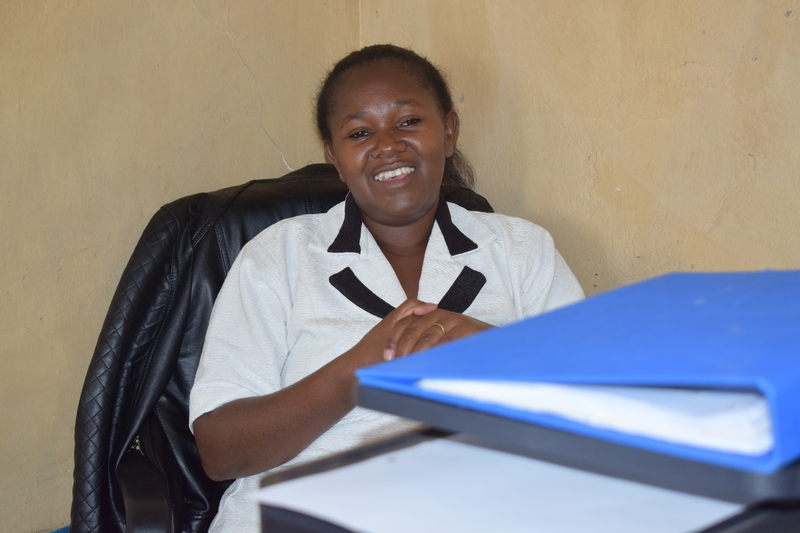 I did not give up but I kept praying to God to deliver us from that situation,” Nziliki narrates with tears running down her cheeks. 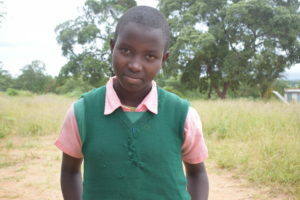 Today, Nziliki is not sent home due to lack of school fees and her mother is now able to buy her revision books and as a result she is now the best performing pupil in her class. Through the mentorship programs offered to children Nziliki has gathered good leadership skills and as a result she tells me she was elected as the school’s President. I visited their homestead as well and the atmosphere here is calm and friendly. Outside the homestead we meet chicken loitering around and perhaps looking for the largest worms, the cows and goats are in their shed and pens respectively as they feed and rest. There are grains prepared on one corner of the compound. Mumbi, Nziliki’s mother, tells me it was another big harvest for her. Her children now eat healthy food because many are the times they slaughter chicken to boost the diet of her children. At the far end of the farm is a man-made dam. The dam constructed with the help of HACA supplies water to her family as well as the livestock she owns. Jennifer Waema, the project coordinator of Mavindini Help A Child Africa office says that the lives of children in the area have greatly improved as a result of the agriculture and other initiatives by the organization.